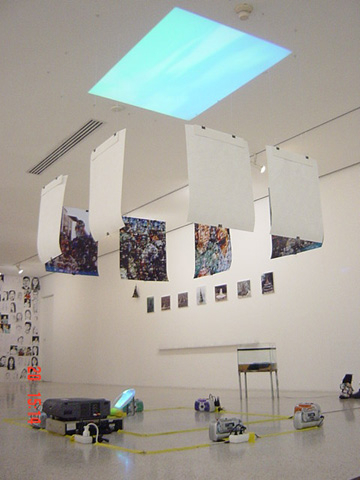 Jatujak is a sound installation made for the Bangkok University Art Gallery in Bangkok in 2003. Audio recordings from the Jatujak market in Bangkok – one of the largest and most lively markets in the world – are transferred into the silence of the white cube gallery space. When standing inside the sound collage one is confronted with a collage of noises from the market. All sounds together create a constant buzz and noise level, but when walking closer towards the source voices, animal sounds, radio noise and many more things become present. The sounds are played back on 6 almost identical cassette recorders purchased at the market. The recorders were later given to friends and assistants.